Here at Foxland Cleaning we provide commercial and residential concrete cleaning. Our awning cleaning service is one of the best in our area. We have the latest equipment and techniques with the help of which we done our job with 100% customer satisfaction. Techniques we use in our cleaning process includes pressure cleaning, soft washing and low pressure cleaning. This allows us to clean your properties quickly, efficiently and with no risk of harm to structures. 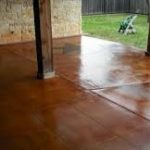 Our unique concrete cleaning is proven to deliver best results by using an array of different methodologies and innovations. We always make your awning look its best according to the newest cleaning standards. We bring new change to your building by following our perfect process and using surface cleaners and heated water. 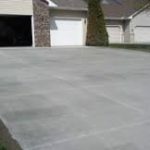 The pro to raw concrete can be cleaned in many different ways. Yet, the con is that raw concrete gets the most stains and is the hardest to clean. Stained concrete gives a great look to the concrete. 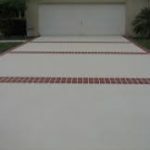 Unfortunately, most homeowners assume the concrete is protected but it is not seeing this is not sealer. Furthermore, depending in the stain, we may need to introduce a cleaning agent that can strip the stain. 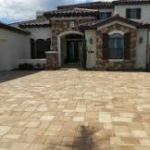 Stamped concrete cleans nicely. But, remember the stain needs to be reapplied once every 4-5 years. Also, stain is not sealer so it will not protect the surface. Weather it is raw concrete mixed with pavers or brick it is the same raw concrete. While we have many options to clean it. With out any form of protection it gives the dirtiest. 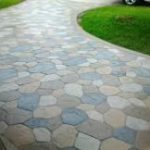 Pavers give an amazing look to a driveway. While we can clean pavers, some require only soft wash techniques due to the sand base that they have. 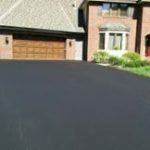 While asphalt is not concrete it can be cleaned the same way with two exceptions. First when edging the asphalt, one must not exceed 1000 psi. Also, the only chemical that can be applied to asphalt is degreaser. First, we use a tool called a surface cleaner to clean the concrete. Secondly, we use the pressure washing gun to wash the areas that the surface cleaner was not able to get. Then, we rinse the concrete free of all the dirt mildew, and other containment’s that were loosened from pressure washing the concrete. Next, we follow up with applying a post-treatment that aids in whitening the concrete. Lastly, we look over the project to see if the steps need to be repeated.